Take your first steps… Make your dream a reality today! Each holiday lodge can be purpose-built, with your own individual choice of fittings and fabrics from a wide range of options to provide your unique bespoke lodge. The stunning open plan dining, kitchen and lounge area contains a large expanse of windows and French doors making it spacious and drenched in light and the long drop windows feature throughout the rest of the lodge. The state-of-the-art kitchen comes with fully integrated appliances complemented by striking designer kitchen cabinets and a freestanding American fridge freezer. Pull out larder units and a cupboard above provide innovative storage solution. The bedrooms are designed with relaxation in mind using a choice of fabrics, leather and wood. The family bathroom is accessed from the main hall and includes a full size bath with shower over, an airing cupboard, toilet and a vanity cupboard unit with vessel basin. Recessed wardrobes and overbed lockers make the maximum use of all available storage. The master bedroom has a walk-in shower, toilet, and a vanity cupboard unit with vessel basin. All plots on the Park are positioned to give you privacy and have plenty of parking. There is ample room for a spacious decking area for alfresco dining. Our experience enables us to offer you free advice on design, layout and furnishings. We are at hand every step of the way to ensure the purchase of your dream holiday home runs as smoothly as possible. We takes pride in maintaining the park to a high standard. Lawns are always kept to near perfection. Hedges are kept trim and grounds beautifully landscaped. Wells Touring Park is open all year round. We can even install a hot tub on your decking area so you can relax and enjoy a beer or a glass of your favourite wine whilst taking in the picturesque views of the rolling Mendip Hills. Should you ever wish to sell your lodge, the increasing quality of the park will reflect on the value of your property. At our initial contact we will discuss the types of lodge for purchase, the sites available on the plan and general site rules. If relevant, we can also discuss methods of financing the purchase. 1. Buying a Show Lodge. Show lodges are those that are already erected on site. They are available for immediate occupation and so involve little or no lead times. There are number lodge layouts and we will be able to give you details of these. After you have decided which layout you would like, we will confirm the arrangements with the layout/style and timing of placing your lodge on the park. If you decide you would like to individualise the design of your lodge, you will work with the manufacturer on the design and when all key decisions have been made, the manufacturer will provide detailed drawings, an accurate specification list and a firm price. We would then agree a timescale for completion and handover of the lodge. As a guide you may expect approximately 12 to 14 weeks before the lodge will be delivered, sited and connected on your chosen pitch. We realise that the purchase of a lodge, whether it is a second home, a holiday home or as an investment, is a major consideration. Although we want to sell a holiday lodge, we also realise that a friendly, no hard sell approach is important to you. We are here to help you through the buying process and can offer help and advice on the design and style of you dream holiday home. It is in our best interest to serve your best interests. Wells Touring Park are members of the British Holiday and Home Park Association (BH&HPA) and abide by its strict code of conduct. We aim to make your lodge buying experience as straight forward as possible. 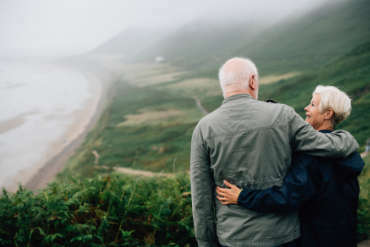 We will explain clearly the implications of buying a lodge at Wells Touring Park and our obligations and commitments to you. We will be respectful of your decisions at all times. Once you have decided to buy a lodge you will be asked to sign a purchase agreement and a licence agreement. These will be explained fully to you before you commit to buying and you will be given a copy of each agreement to keep. A copy of the purchase agreement and licence agreement, which is the same for all buyers, will be available from the Park owners for you to view at any time. 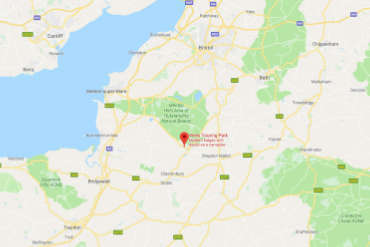 The site’s central position is also ideal for visiting Cheddar Gorge & Caves, Bath, Bristol, Weston-super-Mare, Glastonbury, Street, the Mendip Hills and the Somerset Levels. There is a small on site shop for all your essentials – gas, bread, milk, sausages, ice cream, drinks, cakes, tea & coffee etc. We also have a take-away meals service which will deliver straight to your lodge. Think of Somerset and your mind probably conjures up a view of a ‘green and pleasant land’, where cider apples grow in leafy orchards, farmhouse cheese is still made in the traditional way, and wild flowers bloom in the hedgerows of country lanes… All this and more is true of Wells and the surrounding district, surely a unique part of the West Country. Situated only 20 miles or so from Bath, Bristol and the coast. The area is steeped in history and legend associated with Roman and Iron Age remains, the ruins of medieval castles and Glastonbury Abbey – the cradle of Christianity in England and the majestic Wells Cathedral, the crowning glory of England’s smallest city. 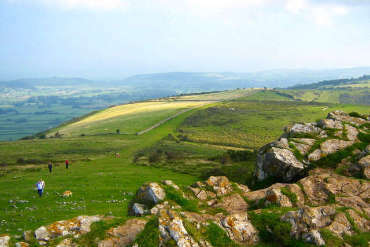 The area also encompasses some of the most attractive of Somerset’s varied landscapes, ranging from the limestone summits of the Mendip Hills to the broad expanses of the Somerset Levels. We can offer a long lease option for a safe, secure, retirement investment which is BH & HPA approved. Wells Touring Park will manage your lettings enabling you to make the most of your investment. This can earn you an income, rental opportunities are maximised giving you an excellent return on your investment. The high demand for luxury holiday lodges in this area AND on a five star award winning park, means that the return on your money could provide you with a secure long term investment for an initial low capital cost. Prices have been realistically set, to ensure affordability and success, and include all delivery, siting, connection and commissioning costs.